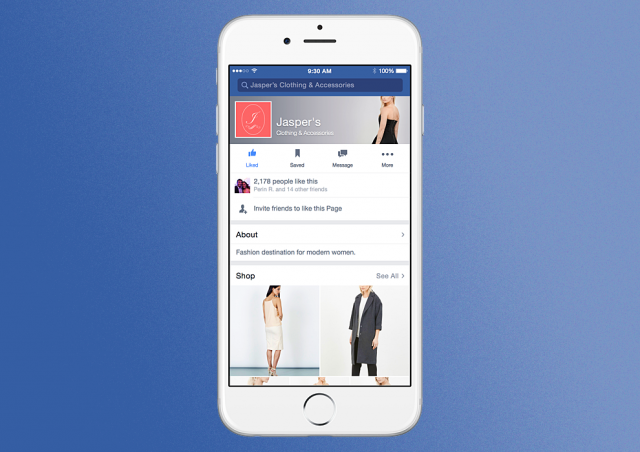 You’ll soon be able to buy a lot more stuff on Facebook. The social network is testing a shopping experience that allows users to buy items directly from business’ Facebook pages. The new shopping feature, first reported by BuzzFeed, will allow retailers to turn their Facebook pages into mini storefronts outside of their main websites. Facebook confirmed the new shopping features to Mashable Wednesday, saying it’s currently being tested among a small number of users and a handful of retail and e-commerce companies. On mobile, the shopping features will appear in a new “shopping” section on the page, as pictured in the mockup image, below, while on desktop the shopping section will appear as a separate tab on the page in the same area where the Timeline, About, Photos and other tabs are currently located. In the shopping section, companies will show off products in a format that appears to be similar to the way photos are laid out. If you want to buy one of the products, the retailers will be able to choose whether the actual transaction will take place within Facebook or whether you’ll be redirected to the company’s website. A few years ago we relied heavily on fan page interactions. Now with the changes made we have seen dramatic drops in engagement through Facebook for our brand. To counter this we have taken a more integrated approach with all our social networks and started to use pins and tweets in A/B tests to gauge fan interactions. If something catches the attention of viewers, then we also share it on Facebook. No matter what the algorithm is, great content will always rise to the top. We think about great content as information that our fans can use. An algorithm change impacts all businesses, not just ours. Focus on creating content that your fans love and will want to share — the best content will always rise to the top. Our focus on any social network has always been about real engagement instead of vanity metrics. As every social network shifts to embrace quality over quantity, Facebook will only increasingly reward excellent content. We are definitely getting less natural engagement, but we’ve done a few things to offset it. Firstly, we’re beefing up staff engagement and sharing of our posts. Facebook won’t hide personal updates. Secondly, we’re working more with Facebook ads; they’ve been hit and miss so far. Finally, we’re putting money and effort elsewhere. Twitter, Linkedin, Pinterest, partnerships and on-the-ground marketing all drive people to our site, so that we’re not reliant on Facebook. Social media is fickle yet necessary, but diversification is even more so. As a small business with Facebook as our number one source of referral traffic, the change hit us hard. But a few things are helping us keep ahead of the curve and outside the box. We don’t post just to post; however, we have found that posting 4-6 times a day increases engagement without paying. Our numbers are heavy on Facebook and lower on Twitter, Instagram, Youtube and Pinterest. We cross-promote with exclusive content, contests, flash sales and discounts to help spread the fan love. To this day, email marketing still trumps all social in regards to conversions. We incentivize email signups. Autonomic (intelligent automation) tools are just now hitting the market but are already allowing us to maintain our edge and maintain strong, non-paid marketing efforts on the Facebook platform. Autonomic tools use big data and best practices to ensure your marketing sees the right people at the right time, with the right message. With continued changes to the Facebook algorithm, these tools will soon be the only way to use Facebook and avoid pay-to-play. Facebook is changing the way we consume media. You used to be able to post a picture and have it go viral. Now Facebook is favoring content. If your business isn’t posting amazing articles that people will like, your EdgeRank will go down and your business page will fade into the dark. By posting at times when people read and click on articles, our business page has stayed ahead of the curve and we consistently see improvements in our Facebook interactions. Yes, we make the best mobile apps in the Hilton Head area. 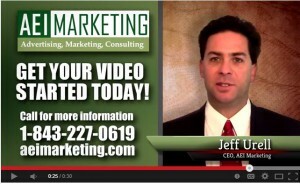 “Five years ago a small business was ahead of the curve if it had a nicely designed website. But with a Cisco report showing mobile data traffic up a staggering 81% in 2013 alone as more and more consumers use different types of devices to browse the Internet, web design site, Wingman Planning says every small business needs their website to be easily accessible on multiple platforms. “The market is continuing to change and as more people learn about responsive websites, the more they realize that it could make a big difference in their business,” said Tom Mirabella, co-founder of the eight-person web-design startup. We’re excited to announce the release of the Beaufort Waterfest mobile app. The app displays news feeds, calendars of festival events and shows. Users can purchase event tickets, shop for merchandise and more.For festival guests, the app adds conveniences and engagement opportunities via the app and social media. We’ve been the Webmaster, ecommerce provider, and technical advisor for the Beaufort Water Festival for over three years.Visit the website or download the app to your mobile device or tablet from the Google Play Store or iTunes. 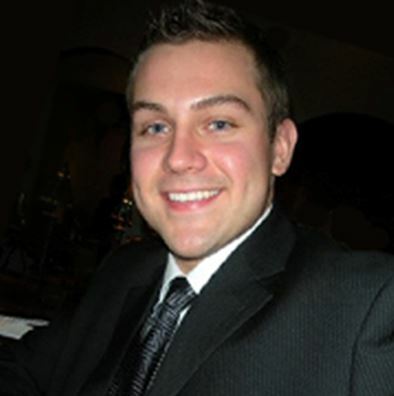 Sales by the Sea, the Newest Member of the AEI Team Hi everyone, I’m Justin and I’m thrilled to join the AEI team! I graduated from USCB with a Bachelors of Science in Business Administration with a double concentration in Management and Marketing. I may be a recent graduate but I’ve had my hand in sales since my first lemonade stand. 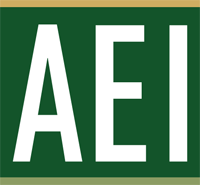 I’ve lived in Hilton Head for nearly ten years and I’m excited to bring my experiences to AEI as the new sales guy. When I’m not talking to people about the super cool things our strategy team and code monkeys can do I dabble in numismatics and enjoy the many beaches on the island. It’s All in the Family For those who may not know, AEI happens to be affiliated with the Porterhouse Grill. Jeff’s brother, Andy Urell, is the head chef at this fine establishment and we’ve taken over the website and monthly newsletter. Check out their new website. Your taste buds may just drive you wild enough to head down to Athens, Ga. So stop by for a little taste test! Enews is cool! If you made it to the bottom of this newsletter than we’re doing our job right. Keeping your customers interested in what’s going on with your business keeps them coming back for more. Enewsletters are a great way to keep a conversation with your clients. Call (843) 227-0619 today to learn how we can grow your client relationships. Call (843) 227-0619 for details.